Today, NetherRealm Studios will be holding a presentation in Camden, London for the next entry in the spine-ripping MK series, Mortal Kombat 11. With an initial announcement dropped during the 2018 Game Awards and a release planned for as soon as April, Ed Boon and Co. do not have long to start building the hype and getting the info out there to MK's rabid fan-base. 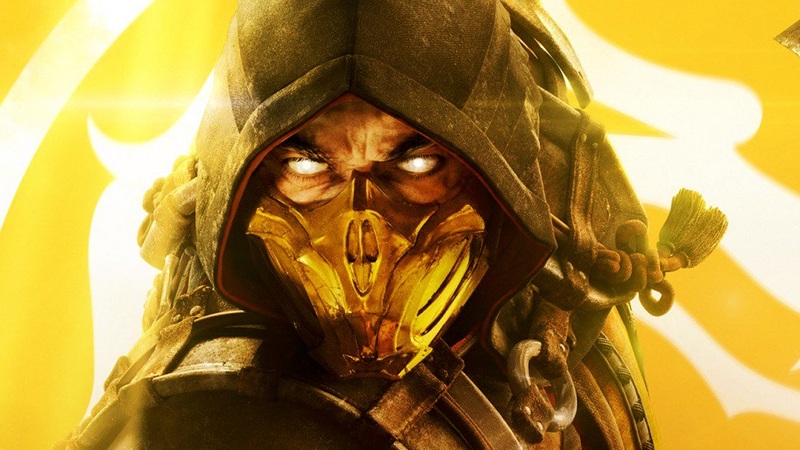 We know little about Mortal Kombat 11 thus far, only that it features Raiden and Scorpion and will have a "time-bending" storyline, which sounds to me like a pretty good excuse to back out of various canon decisions and resurrect/de-zombify just about whoever they want. No doubt we'll see and hear more about the plot, cast and fighting mechanics at this event and over the coming days. Los Angeles is also holding its own reveal party, with numerous celebs in attendance. WWE's Ronda Rousey will be there, as will Zelina Vega (cosplaying as Jade) and AEW's Cody Rhodes. Man, MK and wrestling fans really do go hand-in-hand. Numerous pro-players, such as SonicFox, are also on-hand to throw down with an early build. The Los Angeles event can be watched at the official NetherRealm Twitch channel. If you want to check out the London keynote speech, then tune into YouTube below. The presentation is tentatively scheduled to start at 19:00 BST / 10:00 PT / 13:00 ET. I love the MK games and have been playing them since they debuted back in '92. The series, which hosts titles great and terrible, is intrinsically linked with my personal gaming history. I was a big fan of MK's 9 and X, so all I want out of MK 11 is good mechanics, the brakes pumped on monetisation and no "buy gear for power" gimmickry whatsoever. More than anything, I hope for the playable return of my long-time main squeeze, Sindel. Anyway, what are you fellow kollective members hoping for? Enjoy the show! Mortal Kombat 11 launches April 23 on PS4, PC, Xbox One and Nintendo Switch. Recent rumours suggest the Switch release is possibly delayed until May.